This add on allows you to easily add multiple pages to your website in one step. The add on places a new menu option in the sitemap to 'add multiple pages'. 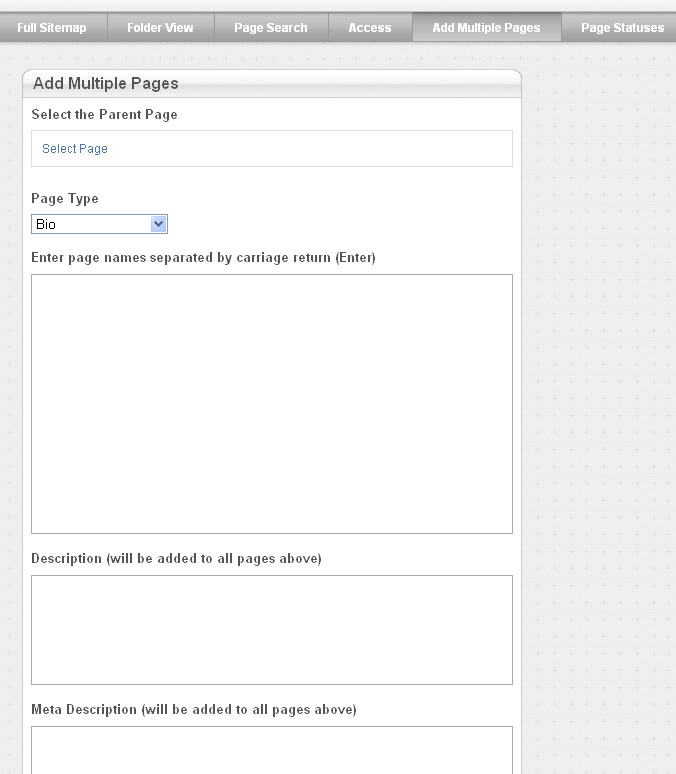 Choose the parent page and the page type, then enter each page name.